There’s nothing we love more than the holiday season! Cozying up by the fire, drinking hot chocolate, watching holiday movies and painting our nails! If you’re looking for a fun and unique holiday nail design idea, we have something cool to share with you. 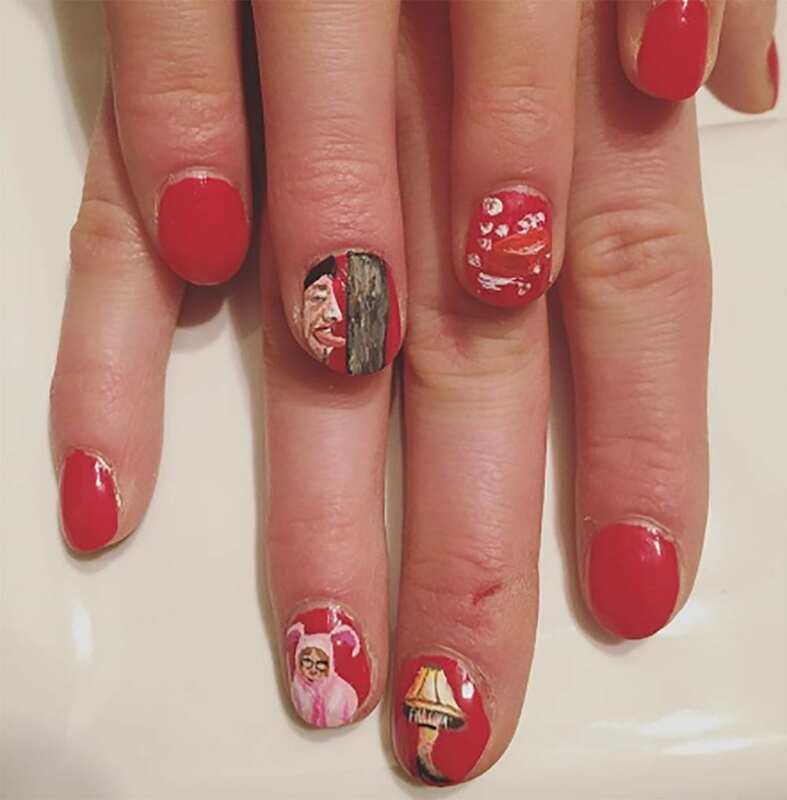 Skip the reindeer and the Christmas trees or basic green and red nail colors and opt for a nail design based on your favorite holiday and Christmas movies! You can channel inspiration from your favorite childhood holiday movies like The Grinch, Elf, Home Alone, A Christmas Story, A Charlie Brown Christmas, Mickey’s Once Upon a Christmas and more. Below we’re sharing our favorite holiday movie inspired nail designs! Buddy the Elf might be one of our favorite holiday characters. Each year we watch Elf the jokes are still just as funny as the last time we watched it (.. aka, last Christmas). Too soon ?????! #elf #elfnails #gelish #gelishmanicure #christmas #christmasnails #gelishoffucial #showscratchmagazine #reflectionbeautyspecialists #elfmovie #nailart #toosoon?! Jim Carey in How the Grinch Stole Christmas will always be a holiday classic! You’re a mean one, Mr. Grinch! ???? Home Alone will always be the best out of the Home Alone series! Favorite Christmas Movie #ptnchristmas Mixed Sinful Colors Navy I Do & Endless Blue to get the blue color. WetNwild- Red Red LA colors- silver glitter striper Kleancolor- Metallic yellow Home Alone, don't know if it's considered a Christmas movie, but it's a movie that's always watched around Christmas time. @sugar__bubbles #sbs11 #stampingplate #stamping #holo #christmas #xmas #macaulayculkin #homealone #macro #nails #nailstamping #nailart #holidaynailart #christmasnails #holidaynails #notd @homealone #nailstamping #macaulayculkin #stamping #funlacquer #howdeepisyourholoh #holo #holidaynails #christmasmani #holo #holodaynails #christmasnails #homealonenails #uñas #esmalte #naillife #holographicnails #nails #???????? A Christmas Story is a Christmas time classic! LOVE these nail designs featuring the famous lamp!